Crowe Hall. 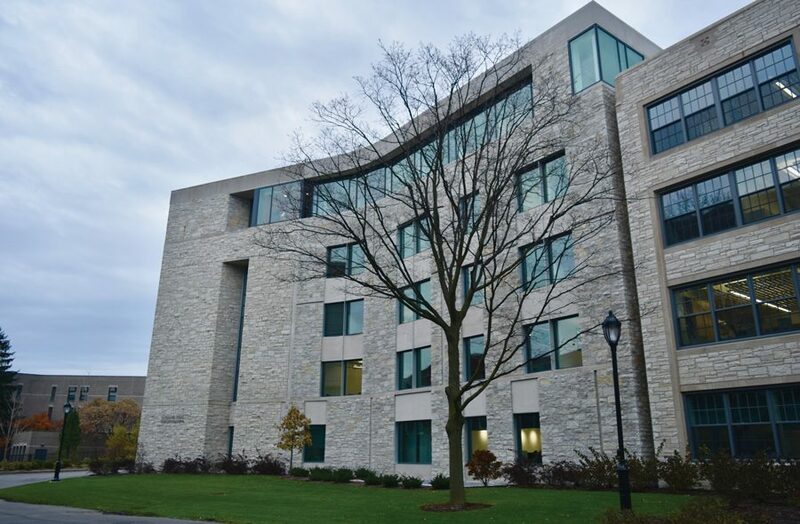 A proposal advocated for the Latina and Latino and Asian American Studies Programs, which are currently located in Crowe, to receive departmental status and more space for their offices. MEChA de Northwestern and the Asian Pacific American Coalition are leading a campaign for department status for two of the University’s largest ethnic studies programs. Working together as the Latinx Asian American Collective, the student groups published a proposal last week urging the establishment of the Latina and Latino and Asian American Studies Programs as departments. As of Tuesday night, about 165 students had signed an online petition in support of the proposal. The proposal echoes a Jan. 23 letter to the editor authored by the Collective, but it lays out reform measures for the programs in more detail. In a statement to The Daily, the Collective said it is “necessary to establish (the programs) as fully funded and autonomous departments” as they continue to expand. The LLSP budget has not changed since 2011, and the AASP budget was increased last year for the first time in at least a decade, the programs’ respective directors said. The proposal states the lack of funding limits the programs’ abilities to support research projects and conference presentations in a growing field of study. Additionally, their lack of departmental status means the programs are not able to hire tenure-track faculty to dedicate their time fully to ethnic studies, both directors said. Faculty members, including directors, have to balance positions in other departments, limiting time spent within the ethnic studies programs, said LLSP director and Spanish Prof. Frances Aparicio and AASP director and African American Studies Prof. Nitasha Sharma. The lack of faculty also limits the number and variety of courses in a field committed to exploring the diverse experiences within communities of people of color, both the proposal and program directors said. Since LLSP was founded in 2008, the number of students enrolled has grown from five to 44, Aparicio said. The AASP has grown from eight minors in 2006 to 32 majors and minors this year after the major was created in Feb. 2016, according to documents obtained by The Daily. But the creation of the programs came only after years of student demonstrations, including a hunger strike in 1995 by members of the Asian American Advisory Board. Since then, students have pushed for various program expansions and criticized the perceived lack of respect and support from the University. Students and program directors say the proposals will provide a foundation for Northwestern to become a flagship institution of ethnic studies in the Midwest. The document calls for more space to house the would-be departments, which are currently located in Crowe Hall. A timeline also recommends gradual steps toward the proposal’s implementation by the end of 2020. Additionally, the proposal urges the adoption of “Latinx,” an inclusive term that has recently gained popularity among scholars, to replace the current LLSP title.